It has been revealed today that Don Mattrick is to leave Microsoft and possibly jump ship to Zynga. UPDATE: Zynga has confirmed that this is in fact the case, Don Mattrick will be the Chief Executive Officer for Zynga and he will also be on the Board of Directors, both positions will be made effective as of July 8th. 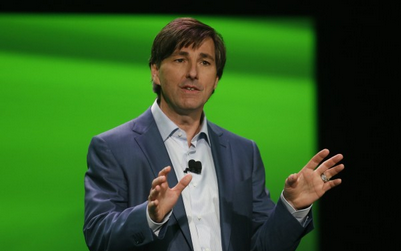 Don Mattrick is the head of Microsoft’s Interactive Entertainment division; his main role is to coordinate all business meetings and media appearances regarding the Xbox 360, Xbox LIVE, Kinect, Music and Video, along with PC and mobile device entertainment. Mattrick has been under fire recently, after the huge upset at the Xbox One Reveal and then shortly after at E3 it comes as no surprise that he wants a change of environment. Mattrick’s most recent fumble was when he was asked about offline gameplay on the Xbox One prior to the policy change and he was quoted, “fortunately, we have a product for people who aren't able to get some form of connectivity, it's called Xbox 360." After the post-E3 fallout it was later announced by Don Mattrick himself over on Xbox Wire that the DRM restrictions will be removed from the Xbox One console, meaning the console will operate offline and trading games will just as easy like it is today. This news was met with applause from the Xbox community but it also meant some other features would be gone, such as Xbox Live Families. This could be one of the many contributing factors as to why Mattrick is wanting a change of scenery. Currently not much is known pertaining to the authenticity of this claim but if Mattrick is to move to Zynga it appears he will be tasked with a similar role of Chief Executive Officer, to try and help turn the company around. Going from being the head of a division of Microsoft to the CEO of Zynga, this will be a big step for Don Mattrick, some may say in the right direction. 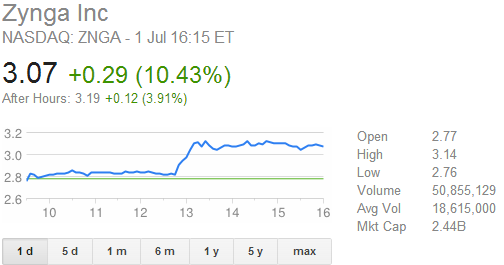 Since the rumours began circulating Zynga’s stock has rose significantly by 10.43%. What does this mean for Microsoft? What does it mean to us as the consumer? Please share your thoughts below.